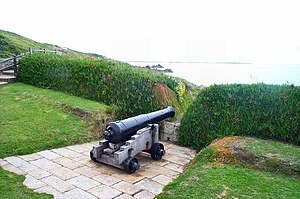 In the 1500’s gunpowder was beggining to be used in Europe, and light firearms began to be used. Gradually, people began to get ideas that these small pistols could be enlarged to fire large stones and metal balls and so be more effective than the current catapults and trebuchets. Thus the cannon was born. 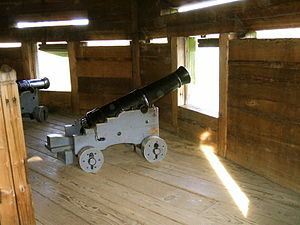 Cannons were large hollow canisters with a hole approximately 7 in. across, and a much smaller one at the back about a centimeter in diameter. Gunpowder was poured through the front hole and a large metal or stone ball was rolled in after it. Then, a lighted match was touched to the gunpowder through the smaller hole and #BOOM# the ball is blown out the front with incredible force and blasted into the hull of an enemy ship. 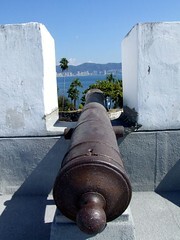 These cannons were made of bronze, which is strong, and though it cannot hold an edge, does not need to. 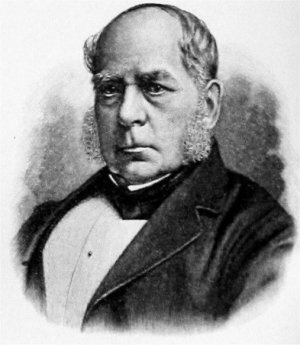 The reason Iron was not used is because before Henry Bessemer, Iron was too brittle and when the powder was lit, it would backfire, throwing shards of metal at the gunners. Not a pretty sight. As I said in my last blog, Steel could be produced, but in small quantities- a two ton cannon is not small quantity. This entry was posted in Uncategorized and tagged 1500-1800, Bronze, cannon, gunpowder, Iron on February 28, 2012 by Captain Belaq. 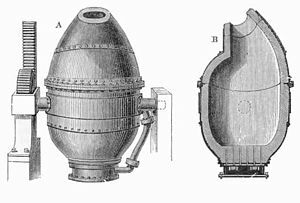 The Bessemer Process is a process invented in 1855 to take the carbon out of Iron to make steel. Carbon, as I have said in many other posts, makes steel brittle and liable to break. Iron fresh from the smelter is high in carbon content, and so not good for buildings and other large projects. In the years previous 1855 it was possible to beat the carbon out with a hammer, and the carbon flew out as flaming sparks. This took forever, however, and in the early 1850’s a man named Henry Bessemer invented a way to take the carbon out in large quantities. He found out that if Oxygen (which basically latches onto everything) is blown through molten Iron, the oxygen bubbles latch onto the impurities, which are carried up with the oxygen to the top, and the nearly pure Iron is poured out the bottom. This entry was posted in Uncategorized on February 27, 2012 by Captain Belaq. Above the Cullinan II diamond in the British Imperial state crown is The Black Prince’s Ruby, which in fact is not a ruby at all, but a Spinel. No one knows when this spectacular stone was mined, but the location is probably the balas ruby mines (balas ruby is another name for Spinel) in Badakhstan near the border of Afganistan. 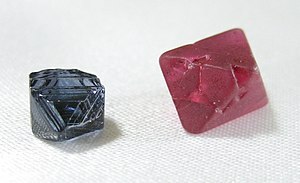 This gigantic Spinel was first recorded as owned by a Moorish prince, Abu Said, who ruled the city of Granada, in southern Spain. Pedro the Cruel ruled Castile, in the north, and wanted to drive the muslims out of Spain, so Pedro invited Abu Said to his city to talk the terms of the moors surrender. At the castle, Pedro murdered Said and took the Spinel off his dead body. Later, Pedro’s brother led a revolt against him and so Pedro was forced to ask for military help from the Black Prince of England. Pedro promised to pay for the military expenses. After Pedro’s victory, he refused to pay, so the Black Prince confiscated the Spinel. That’s how the Spinel wound up in England. 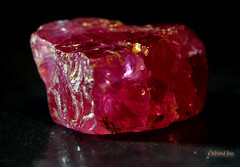 This entry was posted in Uncategorized and tagged 1000-1500 AD, crown, ruby, Spinel on February 20, 2012 by Captain Belaq. 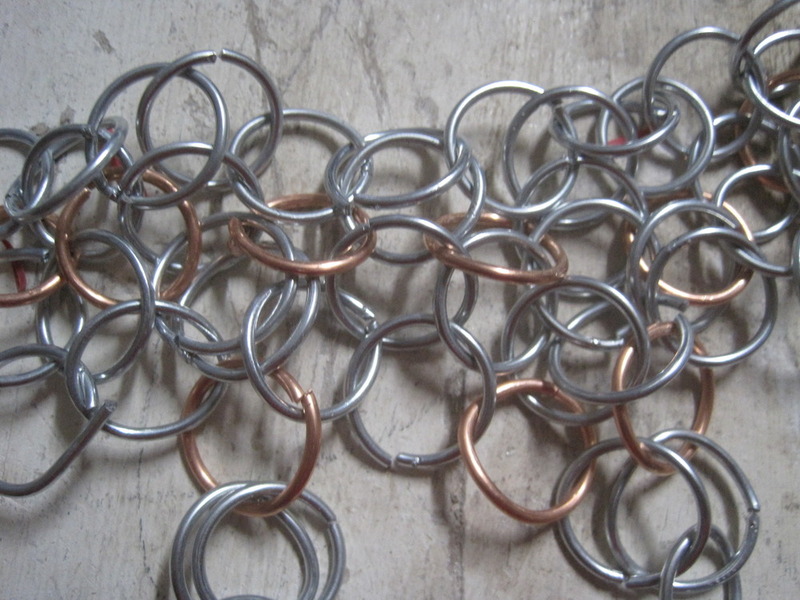 Chain Mail (or maille) is a type of flexible armour developed in the middle ages. It was made from a piece of wire. The wire is made into rings approximately one to two centimeters in diameter. 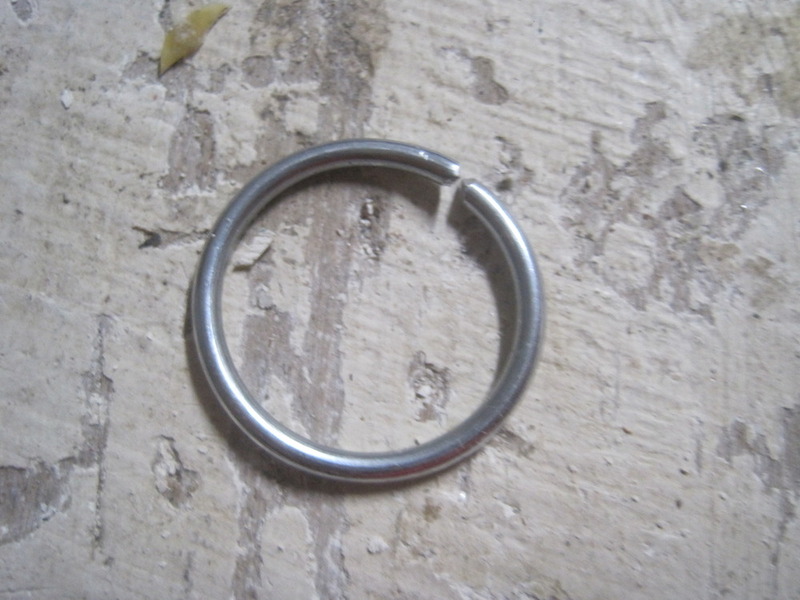 Five rings are selected and four are closed, either riveted, welded, or just bent together, and slipped onto the fifth, which is then closed. 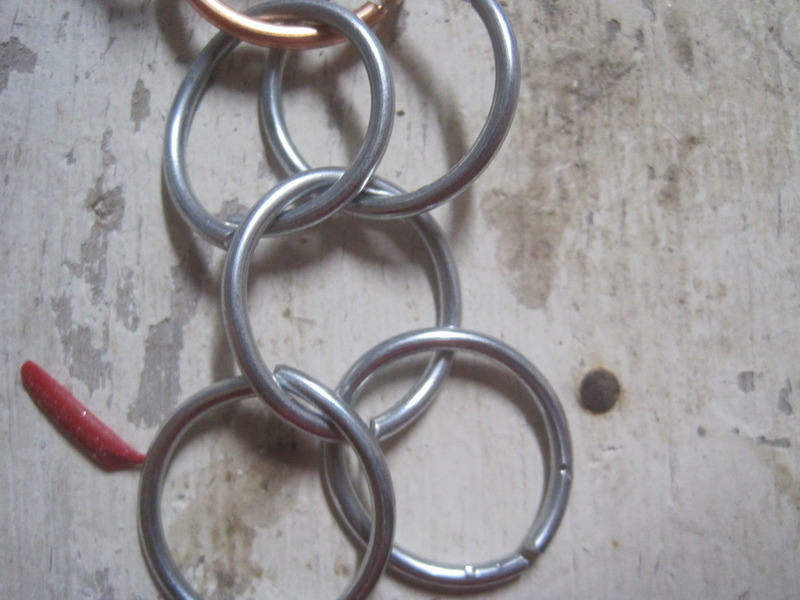 This process is repeated, and another ring is slipped over two rings on one piece and two rings on the other, which is then done again and the two double pieces are linked together. 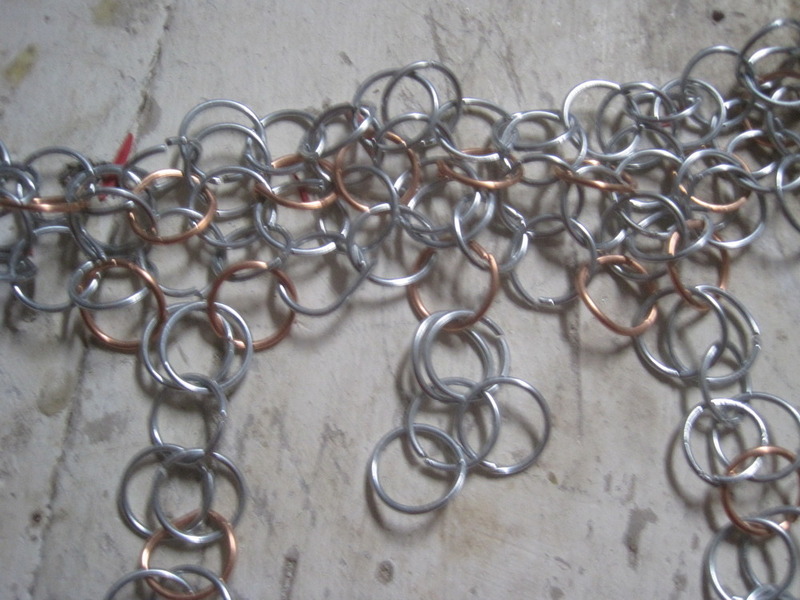 I made a small collar of chain mail for myself. It took me three or four days. I used 16 guage galvanized wire from Ace Hardware. This entry was posted in Uncategorized and tagged 1000-1500 AD, wire on February 20, 2012 by Captain Belaq. 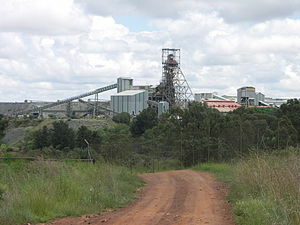 In 1905, at the Premier mine in South Africa, the largest known Diamond was discovered, wheighing 3,106 carats! 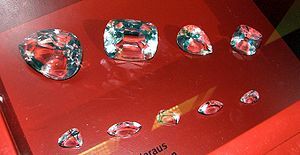 A Diamond a cubic centimeter weighs approximately 9 carats, so I’ll let you calculate how large the Cullinan Diamond measured. 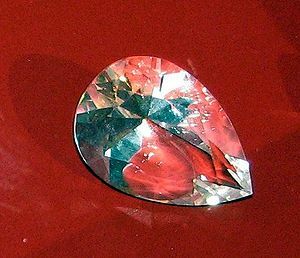 This Diamond was too large to wear so it was given to a famous jeweler to cut in several pieces. He studied the diamond for a year before attempting to split it. Once he delivered the blow that split the diamond, he fainted. When he woke up, his friends informed him that he was successful. Upon hearing this, he fainted again. The largest piece was cut and is set int the royal scepter of England. The second largest piece, the Cullinan II, was set the British Imperial crown, below the Black Prince’s Ruby. It is still the largest diamond ever discovered. It has never been sold. This entry was posted in Uncategorized and tagged 1900 to 1920 AD, Diamond on February 20, 2012 by Captain Belaq.